UN: So Daniel, you lived with hep C for nearly 20 years. When did you first become aware that you had it? Daniel: When I was tested at my sexual health clinic back in 2000 and it came back positive for hep C.
UN: How did you feel when it came back positive? Daniel: I actually didn't know anything about hep C at that time. I remember feeling relieved that it wasn't HIV. Which, looking back, is crazy, because more people that use (intravenous drugs die from hep C-related illness than from HIV-related stuff. But at that time, I knew nothing about all that. UN: Did the test results cause you to make any changes in your life? Daniel: No, not really. I did make sure never to let anyone use my equipment after I had used it. At first just my fit. I was super paranoid about that because I know I contracted the virus through a used fit. But as years went by and I learnt more about hep C, I stopped people using my other equipment. You know, spoons, water, tourniquets and so on. UN: You seem pretty certain you contracted hep C through a fit and not through other equipment. Why’s that? Daniel: There was only one time that I shared. A neighbour dropped around to see if I could get on for her because her dealer was off. I was hanging out badly and when she got the gear she made up a shot for me. She only had the one fit and of course she went first. I knew at the time what a stupid thing it was to do, but it didn’t stop me. I was so sick. UN: You were diagnosed with hep C in 2000. Did you receive or seek treatment at that time? Daniel: They only had the old-style interferon treatment at that point. It made people really sick. I'd heard of people vomiting, their hair falling out, aging 10 years in one year. Living with hep C, I had no symptoms. The treatment sounded much worse than the illness. UN: It's now 2018. Are you still living with hepatitis C? Daniel: (With big smile) No, thank goodness. 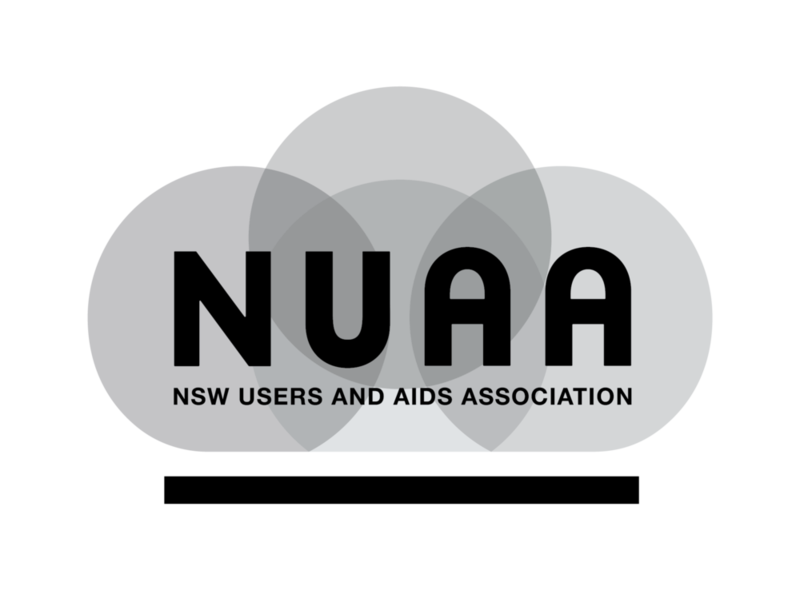 There is a great new treatment that I found out about when I dropped into the NUAA NSP for supplies. I started chatting with one of the workers there and they told me about the "Buddy Program". You get $10 on the spot for having the blood test. So, I had the test and the nurse, who was from KRC (Kirkton Road Clinic), suggested that I come down to get my results and to have a fibroscan if I was still positive. UN: So, you obviously followed that up. What happened at KRC? Daniel: First, I had another blood test to see what genotype I had, followed by a fibroscan. I also got given a $30 gift voucher. Whenever I would have my blood taken, they would give me a voucher. It really helped, and it also encouraged me to go to my appointments. Then they gave me a box of tablets with a month’s worth of medication. Sometimes, they will give you a week’s worth and some people can go in daily and get them, if they don't have somewhere safe to keep them. For me it was a month at a time. I had to take them for 3 months so I only had to go in 3 times. UN: How much did the tablets cost you? Daniel: For me, going through KRC, they were free. If you go to a GP and you have a health care card or pension card, it costs $6.60 a month for 2 or 3 months, however long your doctor says you need to take them for. UN: And how did you go on the treatment? Did it make you sick? Did you have to quit using for it to work? Daniel: No! I didn’t get sick at all! I got a few minor headaches the first few days but that was all. The rest of the time I was fine. It was so easy. Just one tablet, once a day. No sickness at all! And they treated me even though they knew I was using. I even took part in a study to show that treatment can be successful even while you use drugs. There are doctors out there who are refusing treatment to people because they are using. That is just so wrong. This study aims to prove that. And I definitely didn't quit. I used both heroin and ice throughout my treatment. UN: And what was the outcome? Daniel: I cleared hep C! UN: Congratulations! Is there anything else you would like to say? Daniel: I would suggest that people try out the Buddy Program at NUAA's NSP on Crown St. It worked for me. They'll help people out if they need it, with medicine costs, transport, moral support and help keeping appointments. I also want people to know that if they already cleared the virus once and then have a stupid moment like mine — when they are sick or desperate — it's okay. I’m not recommending being careless, but the treatment is available as many times as they need.